Being aware of the trend to use even small TORR TOYS Glass Hoppers for bigger grinders we started to assist here with the design as a more prominent glass and glass design might compensate for a missing size of the hopper to keep a good all-over design. We started here with the crystal spiral optics design in 250 and 300 sizes to check the demand and the feedback. In the next step, we will prepare some waffle optics and double spiral which was also famous in the former days in the 50s and 60s. We will also provide more pictures of this design in the galleries soon. If you want a spiral optics, you need to be fast, the first batch is nearly sold. 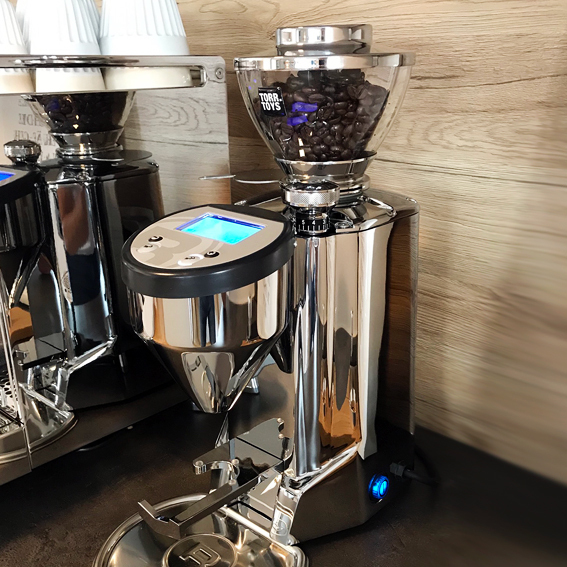 We modified the ECM adapters again as for a much higher demand, not only from Germany, Austria and Switzerland but also from other Countries where ECM and Profitec seems to be more and more famous already even when it comes to coffee grinders. Another reason for these modifications is of course that the ECM / Profitec customers are always at the top end when it comes to design and quality. Last but not least the premium model V-Titan 64 is a great grinder in many aspects and offers low retention compared to many other brands in the market. 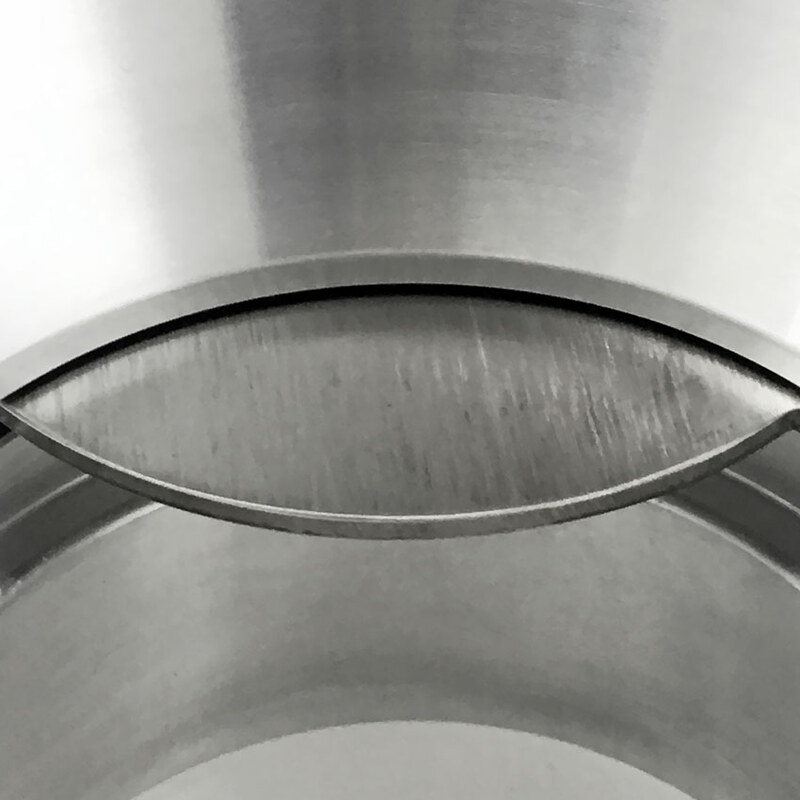 The ECM Edition 3 adapter comes with a smaller gap now, there were also modifications concerning the details to improve the flow of the beans. We added a 45-degree phase which follows the design of the glass adapter and added some radii. 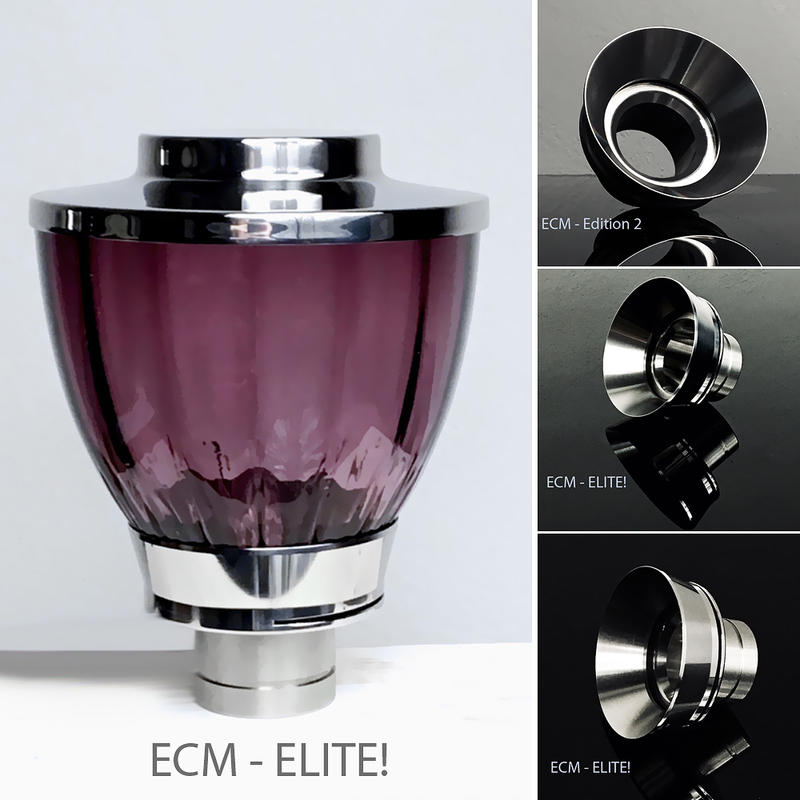 We developed also an ECM ELITE! 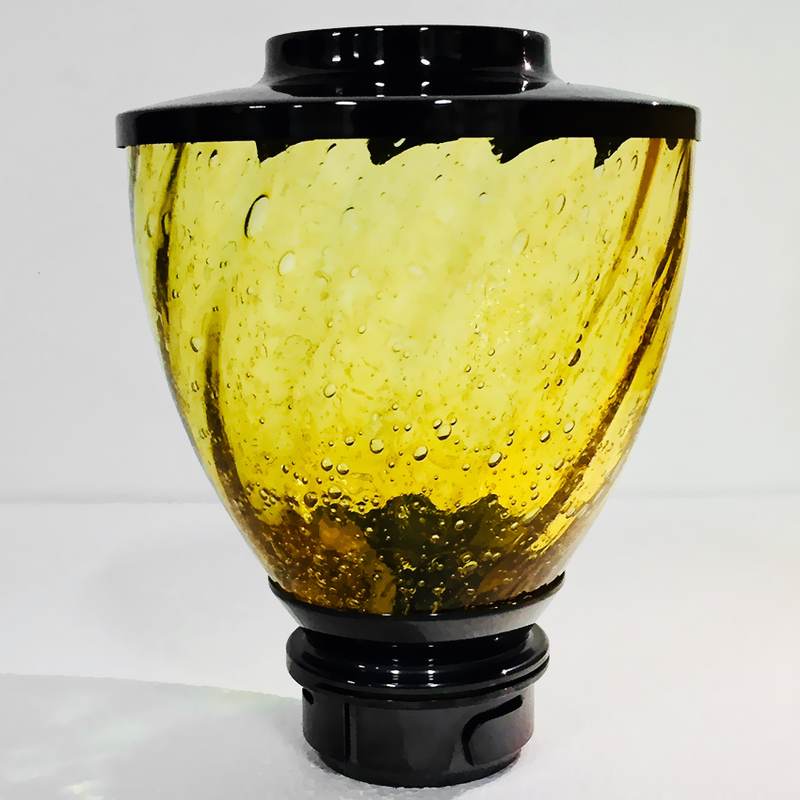 glass adapter for the ECM glass hoppers which comes in another pure design to reach a modern look. This ELITE! design will be added to some more adapters soon after having received feedback from our customers. New and more pictures of this ELITE! design to come soon. We have many possibilities here concerning different coatings, paintings and improvements. All can be arranged for the grinder of your choice to get your customized custom-made coffee grinder. 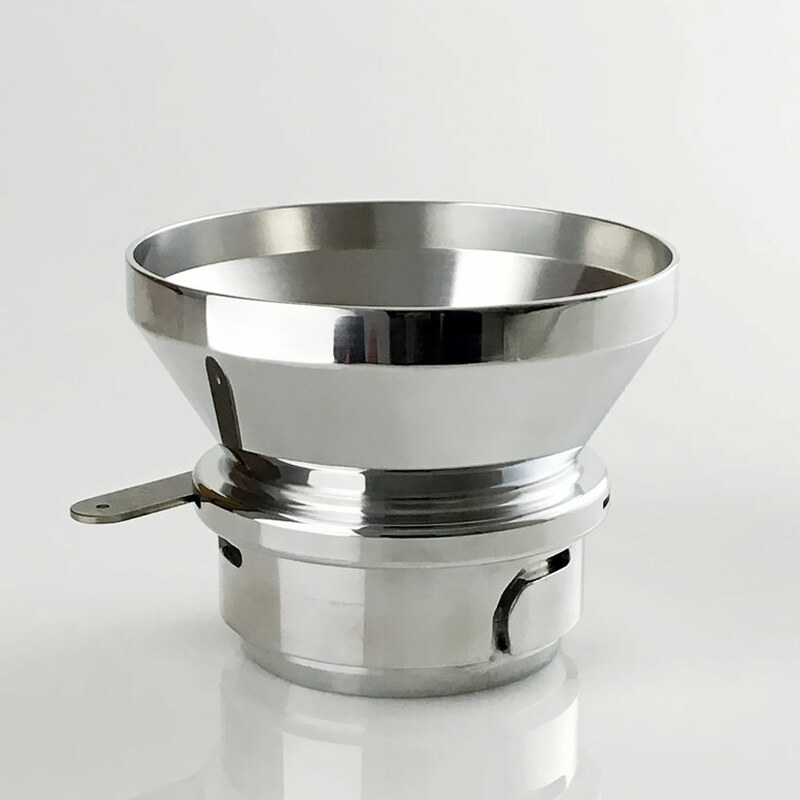 We will also offer some modified grinder editions soon for some of the most favourite coffee grinders in the market, used by home baristas and professionals. All this can be also paired with the matching espresso accessories and customized coffee tools. When it comes to professional coffee business Design and Design concepts are more important than in private spaces, offices or kitchens. The equipment, especially the espresso machine, the grinder and other nice equipment is always the eyecatcher of the professional coffee set-up. In this case, the TORR TOYS glass hopper could be the icing on the cake, a colour spot and eyecatcher that has to works well with all the interior concept. However, it doesn´t matter about the location and purpose, in the end, we always try to find the best hopper- and colour option for your set-up, using all modern and digital possibilities.